The desire to globalize and contextualize the education of our students to prepare them for active and responsible citizenship in the 21st century is a part of the vision of many colleges and universities these days (see AAC&U 2007). Authors of the American Academy of Religion’s white paper (2008), “The Religion Major and Liberal Education,” suggest this has always been one of the five foci of the religious studies major. To achieve this vision, many advocate some type of immersion in other cultures through study abroad programs. Whether or not these programs should be semester-long or short-term, faculty-led or independent, educational or formational is open to discussion and debate (see Barbour 2015). Regardless of the structure, however, the challenge is to develop these programs in ways that realize the intended outcomes. Interest in the theoretical and pedagogical impact of study abroad programs among professors of religion and theology has existed for some time and is growing. The bulk of a recent issue of Teaching Theology and Religion (18:1), which was developed out of a session at the 2011 American Academy of Religion annual meeting, was dedicated to the use of study abroad in religion courses. The thoughtful essays in that issue explore various ways faculty-led study abroad programs provide opportunities for students to experience the study of religion in context, and they provide insight and highlight various implications for the study and teaching of religion. 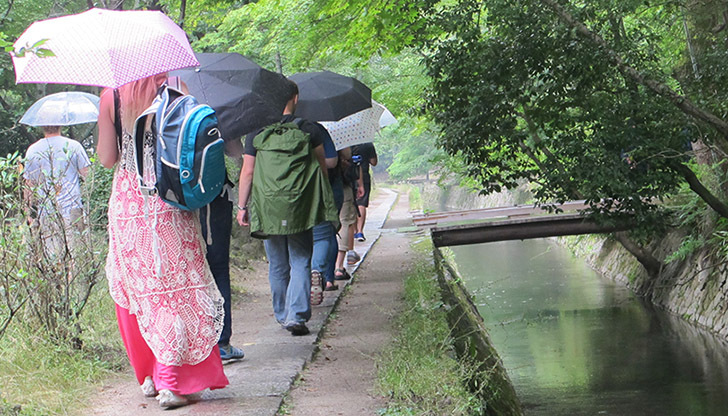 This current issue of Spotlight on Teaching also grew out of an annual meeting proposal about faculty experiences with faculty-led short-term study abroad programs. While the essays highlight the tremendous rewards for students and faculty alike that these experiences generate, they also identify the ways in which institutional context shapes, and at times limits, the structure and experiences of the programs. The question of pedagogical approach is highlighted in each of these essays. David Howell stresses the importance of being intentional in the design of study abroad experiences to maximize the impact such experiences have on students. He discusses three theoretical frameworks he has used in preparing his own study abroad experiences: intersectional analysis or cultural identity awareness, intellectual and ethical development, and experiential learning; and he provides examples of how he has incorporated these frameworks in his own study abroad courses. Shannon Grimes draws from environmental educators’ emphasis on place-based approaches to learning to get students to use their entire selves—minds, senses, and bodies—to learn from the people and place of Iceland. While such theoretical pedagogical frameworks have a great deal to offer teachers as they construct their courses and programs, Dori Parmenter illustrates how the interdisciplinary nature of religious studies as a field can also enrich the pedagogical approach to study abroad. The methods of bracketing, hermeneutics of appreciation, and hermeneutics of suspicion endemic to the study of religion can prove beneficial to students in an interdisciplinary study abroad context which seeks to enable students to develop more complex and integrated modes of thinking. Of course, in this day and age of outcomes assessment, connecting our pedagogical approach to the learning goals we have for the course is important. However, one of the realities of leading a short-term study abroad program, especially in institutional contexts with limited financial support and students who have never been out of the country, is that one cannot always prepare for every contingency. Alyssa Beall describes how changes in logistical arrangements can interfere with preparation. Moreover, a study abroad program in one context (Europe) does not always translate smoothly into a very different context (Asia). The professor and the students must adapt in the moment. Alex Snow further notes how sometimes teaching in a short-term study abroad context does not lend itself to “the pedagogical dances” we use in the traditional classroom. Instead, we find ourselves teaching on-the-fly in “expedient” and unpredictable ways, even “pointing at” the sights and sounds we encounter together with the hope that students are experiencing the transformative moment with us. 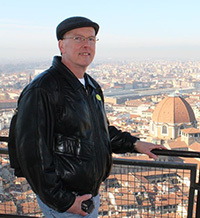 John Barbour suggests that a critical reason for the effectiveness of faculty-led study abroad programs versus semester-long immersion programs is the presence of professors who help students understand their experiences and connect it to other learning and to their lives, something that does not always happen in immersion programs (2015, 89). This is certainly the case for the authors of these essays. O’Keefe realizes that students in his classes need help in processing their encounters with the challenges of global poverty in the Dominican Republic, Africa, and Alaska. He relies upon Ignatian pedagogy with its emphasis on the interrelationship between experience, reflection, and evaluation to help students connect the dots. Howell notes how requiring students to write about and reflect on their experiences in journals, an active learning strategy that all the authors encourage in their programs, enables them to make more powerful links with what they are seeing and observing, providing a depth that the classroom setting alone does not. Finally, many of the authors talk about the impact the study abroad programs have had on their pedagogy back home and on their sense of themselves as teachers. Snow is exploring how he can incorporate culturally specific pedagogies like upaya or “expedient means” into his more traditional lecture-based courses. Beall notes how she now blends many of the images and lessons learned abroad into her traditional classroom setting. Grimes says her experiences of engaging with students within and without the teaching context in Iceland enabled her to open herself up to connect with students in new ways that transcend the traditional teacher role. O’Keefe remarks that the immersion programs are one of the most satisfying pedagogical experiences in his long career. Make no mistake: all agree that faculty-led short-term study abroad programs, especially in contexts where the faculty assume most or all of the responsibility for setting up and conducting the program, are extremely labor-intensive. Yet in spite of this, the constant refrain in these essays is that while exhausting, the experience for their students and themselves is extremely rewarding. Association of American Colleges and Universities. 2007. College Learning for the New Global Century: A Report from the National Leadership Council for Liberal Education and America’s Promise. Washington, D.C.: Association of American Colleges and Universities. Barbour, John. 2015. “’Oh Events’ for the Professor: Studies and Stories of Religious Studies Abroad.” Teaching Theology and Religion 18 (1): 88–96. Glennon, Fred. 2011. “Formation in the Classroom,” Teaching Theology and Religion 14 (4): 357–361. Walvoord, Barbara. 2008. Teaching and Learning in College Introductory Religion Courses. Malden, MA: Blackwell. Fred Glennon is professor and chair of the Department of Religious Studies at Le Moyne College. He teaches a faculty-led short-term study abroad program in Italy entitled Church and State in Comparative Perspective, most recently taught in spring 2015. His research and teaching focuses on religious ethics and social justice. He also writes and publishes in the area of the scholarship of teaching and learning, with a number of publications in Teaching Theology and Religion. He is coauthor of Introduction to the Study of Religion (Orbis Books, 2012), now in its second edition.